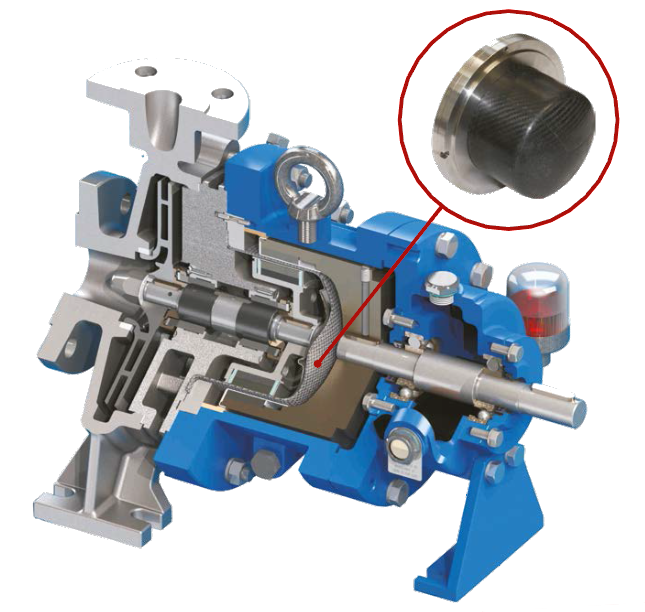 Thanks to our 40 years of experience in magnetic drive technology, M Pumps in able to supply innovative and unique rear containment shell on magnetic drive pumps to enhance the competiveness and operational efficiency in today’s process industry. 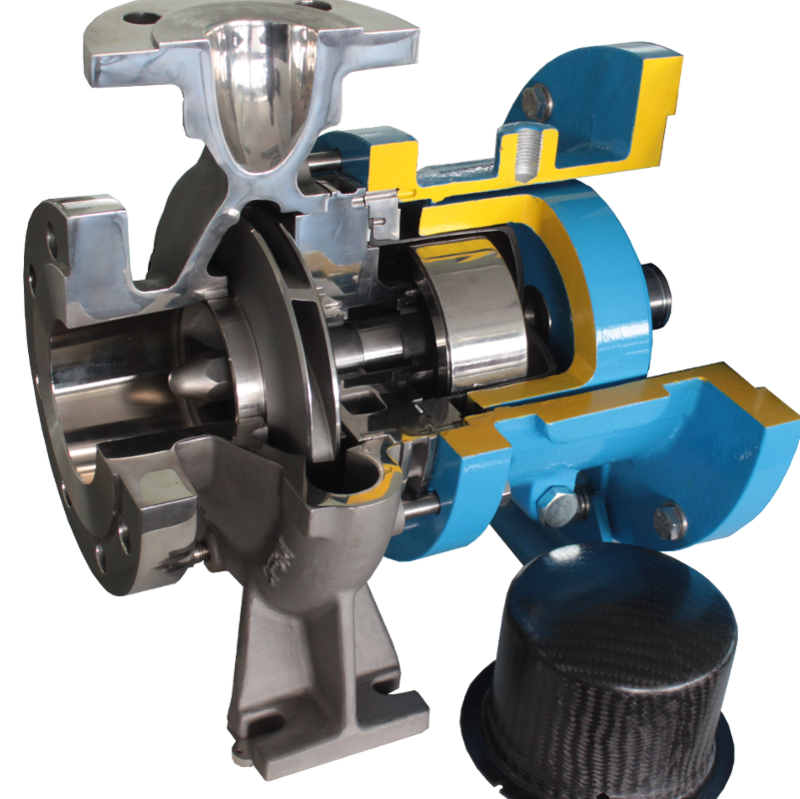 As technology advantaces, the need for high pressure, high temperature and energy efficient become the top priorities among pump users. 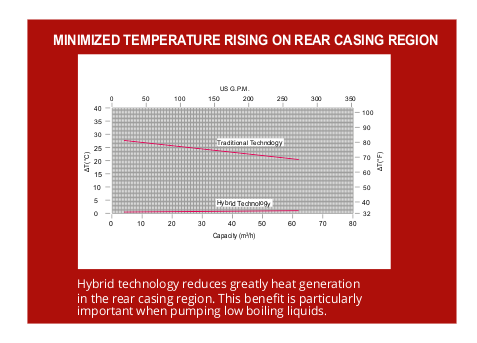 Staying ahead of these priorities required M Pumps to adopt a forward thinking and proactive approach to pump design. Our Hybrid containment shell consists of a dual shell system. The external shell is made of carbon fiber, and the internal shell is made of Hastelloy ® C or Titanium. Using carbon fiber on the External guarantees the highest mechanical strengh and the internal metallic shell ensures optimal chemical compatibility. We offer optional temperature monitoring. The Temperature sensor is installed to provide accurate temperature reading and timely response to avoid constly pump failure. 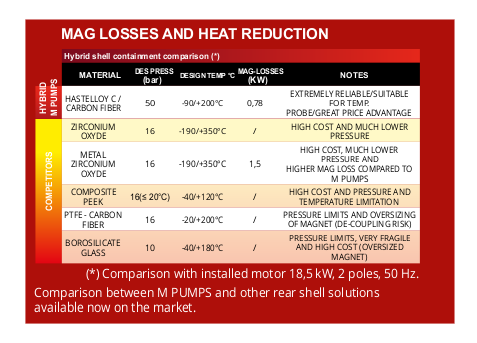 In addition to generating much lower temperatures compared to other metallic versions, the thin shell of Hastelloy ® C, guarantees immediate and accurate reading of temperature changes.